Fall is finally approaching most of us…but, wait! 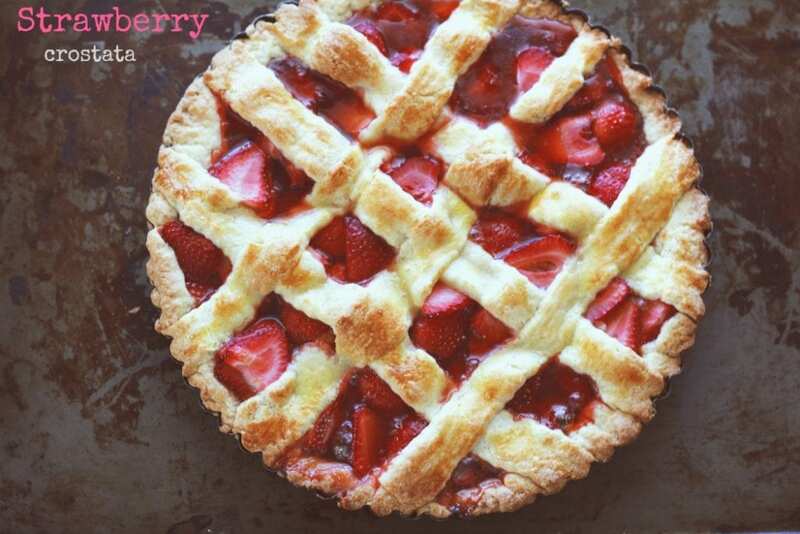 You have to make this Strawberry Crostata before diving into all the pumpkin recipes. 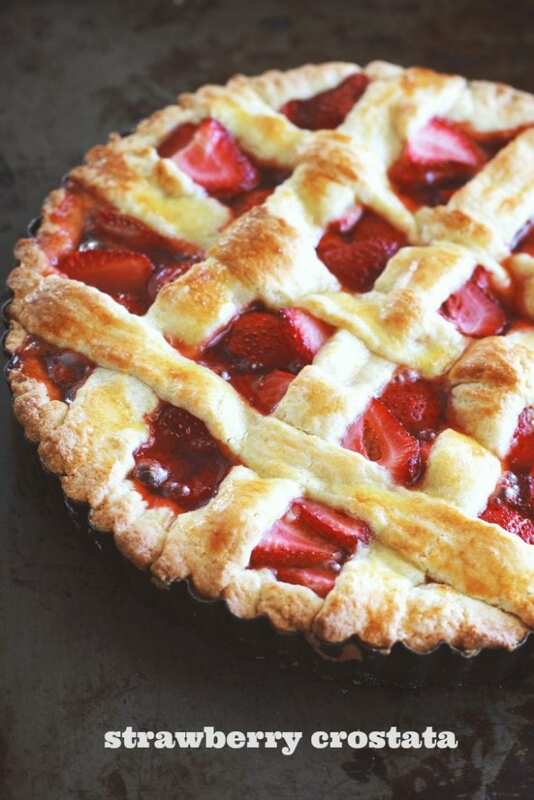 It has an easy to make buttery homemade crust and it is packed with sweet strawberries! We just can’t wait for strawberry season to arrive in Florida, and lucky for us, it lasts for months. I usually have 2 containers of strawberries in the refrigerator on any given week. I made a strawberry sauce for our flax seed pancakes (I just did this yesterday!). I make strawberry panna cotta and even pop them into smoothies in the morning. I make this cake once a week. If you follow my blog for a while now, you know we make all sorts of Italian crostatas. In case you are wondering what is the difference between an Italian crostata and my American pie recipes, it is just that I sometimes add shortening and butter to my pie crust recipe. My Italian crostata recipe is all butter! The base of an Italian crostata is pasta frolla or a sweet short crust pastry (or sweet tart dough) made of flour, sugar, butter and eggs. 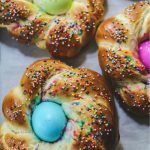 Pasta frolla can be used for so many different things: it provides the base to make crostata with fruit preserves, pastry cream, fresh fruit, ricotta, and other ingredients, and, by itself, it makes very nice cookies. You know that this is my son’s favorite crostata! He told me he doesn’t like when I make “random” cakes and other desserts. He’s pretty traditional and very picky with my baking. He likes things that are usually just how his nonna Teresa makes them. And this happens to be a crostata she makes for us sometimes when we visit in the summer. I kept it simple the way he likes it for fear of having him call it another “random dessert”. When I make my crostata I usually add jam (it’s not always homemade, but a good quality jam with not a lot of sugar) and sometimes I add a layer of fresh fruit on top. For this crostata, I added a thin layer and some fresh strawberries on top. We enjoy it as soon as it cools down out of the oven for a quick afternoon snack after school. 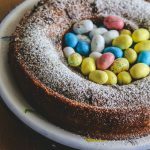 It’s perfect for breakfast with a hot cup of tea or your cappuccino and if there is any left, it makes a perfect dessert!! 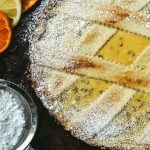 Here are some more delectable Italian crostata recipes you have to try!! Make sure you wait until the crostata cools down a little bit before taking that first slice. I hardly ever get a photo of one sliced because once you start a slice, it disappears pretty quickly! A buttery Italian crust filled with strawberry jam and a layer of fresh and juicy strawberries. It makes the most perfect Italian breakfast or sweet treat for an afternoon coffee break. Next add the butter and pulse a few times until the mixture looks like wet sand. Add the egg and yolk and process a few seconds more until the dough forms (this should be about 5-7 more pulses). Be sure to not overprocess the dough. Boy do I wish this was my breakfast today! Yum! I am not at all ready to give up strawberries. This looks wonderful! This looks amazing I can smell it from here. Divine little treat! This is gorgeous! What a perfect treat! This looks incredible, I love all things strawberry! I'm still holding on to summer so i am loving the strawberry recipe! Love the all butter crusts! Oh those berries! Who am I kidding, it's the crust that does it for me! Yumma! I could eat this for breakfast, lunch and dinner! Looks great! Strawberries are so amazing when they are in season. 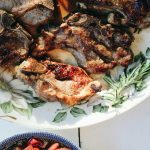 You have to use them to advantage and you certainly have in this recipe! That is absolutely beautiful and sounds delicious. That is gorgeous and the combination of fresh strawberries and strawberry jam is just perfect! What a beautiful crostata, Lora. I love how packed full of fresh strawberries it is. Even though I'm excited for fall, I'll miss all the fresh berries of summer. Wow, your crostata looks amazing! I love baking with fresh strawberries and this looks like a fantastic weekend treat! Putting on my menu, thanks! THIS! I must try it! I LOVVVVE anything strawberry. Oh, wow. 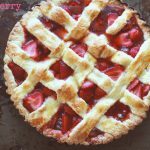 So many amazing crostata recipes you have! And I'll gladly take this strawberry recipe over a pumpkin one. 😀 It looks heavenly! Ok, this is completely calling my name! It is PERFECTION! Whoa! It's beautiful! I love the crust on that! I may be late to the party but I just had to comment on your beautiful strawberry crostata, it looks delicious. I live in Florida and you are right about us being lucky to have a long season of sweet fresh strawberries.